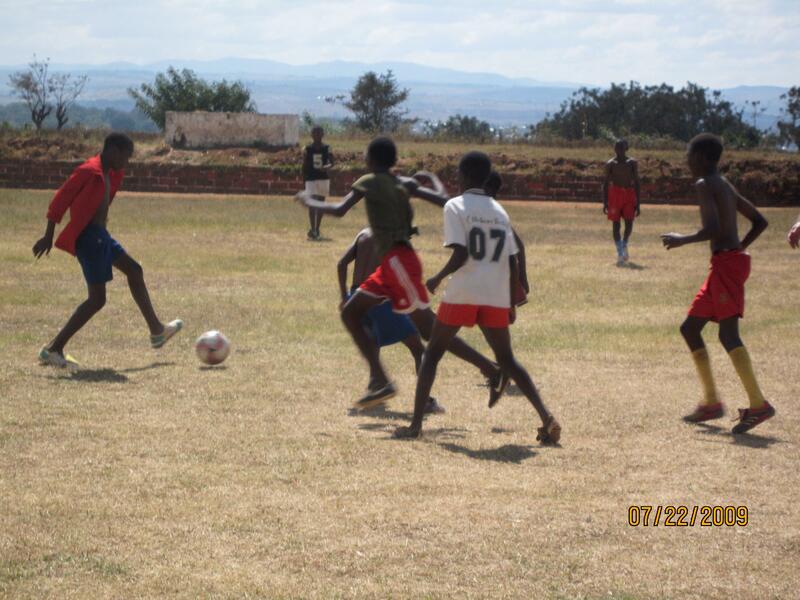 Our Chance to Lead Program: A Continent Wide partnership with Play Soccer. August 29th, 2011: From Kelsey in Malawi. After arriving in Malawi three days later than expected (due to cancellation of flights), I finally landed in Blantyre where I was to spend three weeks working with Play Soccer Malawi. Instead of providing coaching training, like Coaches Across Continents had the previous few years, I was excited to be working with the management to start a new project that we call Chance to Lead, to search new local funding streams, local strategic partners and to assist with the budgeting and accounting processes, all of which is right up my alley! The PLAY SOCCER fraternity was extremely hospitably and all the administrators and coaches were so helpful. I was able to visit one of the program sites, Ndirande, where around 500 children came to the field on a Monday afternoon for the session. The kids listened to the coaches and patiently waited in well-organized lines for the session to begin. After being separated into their relevant age groups (under 10, Under 12, under 14), they followed instructions and joined the coaches on the field for the social, health and football stations. The health station involved a small racing game where children were given points for learning facts about safe drinking water. The social station promoted a message of inclusion, tied into another physical activity. The football station involved 5 v 5 small-sided games in a small space to help the children work on their football skills. To see 500 children learning football, health and wellness and life skills messages all while having fun and enjoying themselves was inspiring. This was also motivating for myself to help the program develop local funding and vocational partnerships and more sustainable administrative structures. The three weeks were filled with visits to local businesses, strategizing meetings with the coaches and PSM officials and playing some football. I was able to play in some friendly matches and tournaments with the ladies team that will be representing Malawi at the Homeless World Cup in France this year. 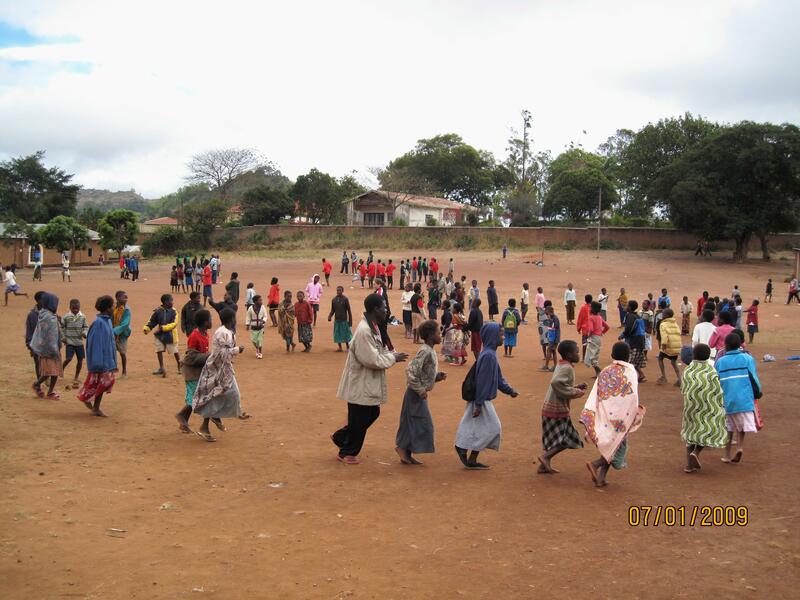 PLAY SOCCER has had such a big impact on the youth football scene in general in Malawi and especially in Blantyre. 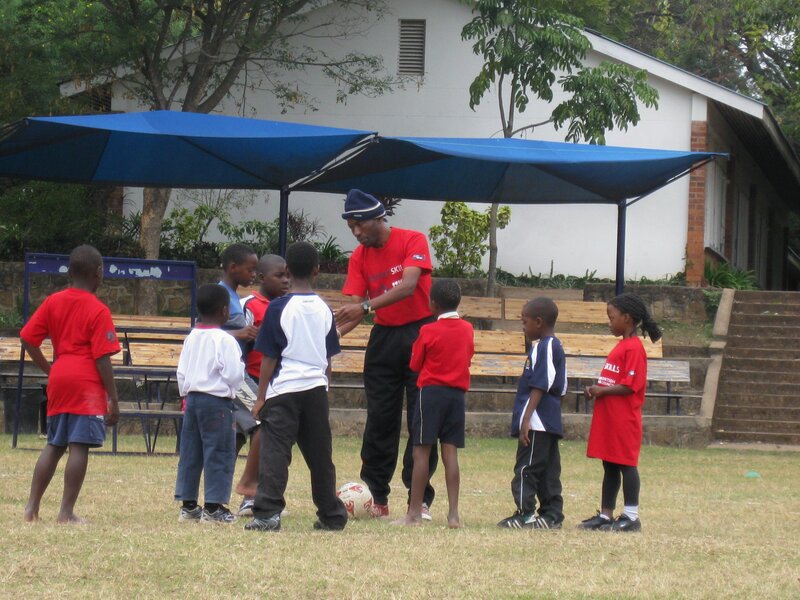 With connections to the Football Association of Malawi, PSM has established itself in the football as well as the development community. As with every not-for-profit organization, at some point funding becomes a challenge. Luckily, my experience in Kenya with youth football organizations, translated well to the Malawian context. Most organizations face the same issues: funding, accountability and volunteerism. We were able to tackle these three issues during my stay, which I hope will help the overall sustainability of PSM to continue to contribute immensely to the Blantyre community. On the last day of my stay, there was an organized peaceful demonstration that was to take place in order to protest the President and the government. This demonstration unfortunately turned into a violent riot that saw around 20 people killed. In Blantyre, where I was, the demonstration was not as violent as in the capital city Lilongwe, but an angry marching crowd were still burning tires and looting shops along their path. This type of reaction was so unfortunate after I had experienced such a friendly, hospitable environment throughout my stay in Malawi. Overall, PSM was an excellent host for Coaches Across Continents and is an incredible organization with so much potential for lasting change in Malawi. What is particularly exciting about the final year of the Hat-Trick Initiative in Malawi is that a new program has emerged that Coaches across Continents calls “Chance to Lead” and with the combined work of all CaC staff over three years, Play Soccer Malawi will now be the leader in training all Play Soccer programs in Africa on how to create a career employment path for all Play Soccer volunteers. The Chance to Lead project is ground breaking in the world of Sport and Development and ensures that volunteers “on the field’ receive vocational training and career pathways ‘off the field’. Once again, Coaches across Continents, with their amazing partner Play Soccer, are leading the way in new ways to use Soccer for Social Development. Kelsey was working in Malawi from July 5th – 26th, 2011. Next: 5 More Countries in 2011. Coaches across Continents programs for the Fall ‘on’ and ‘off’ the field.